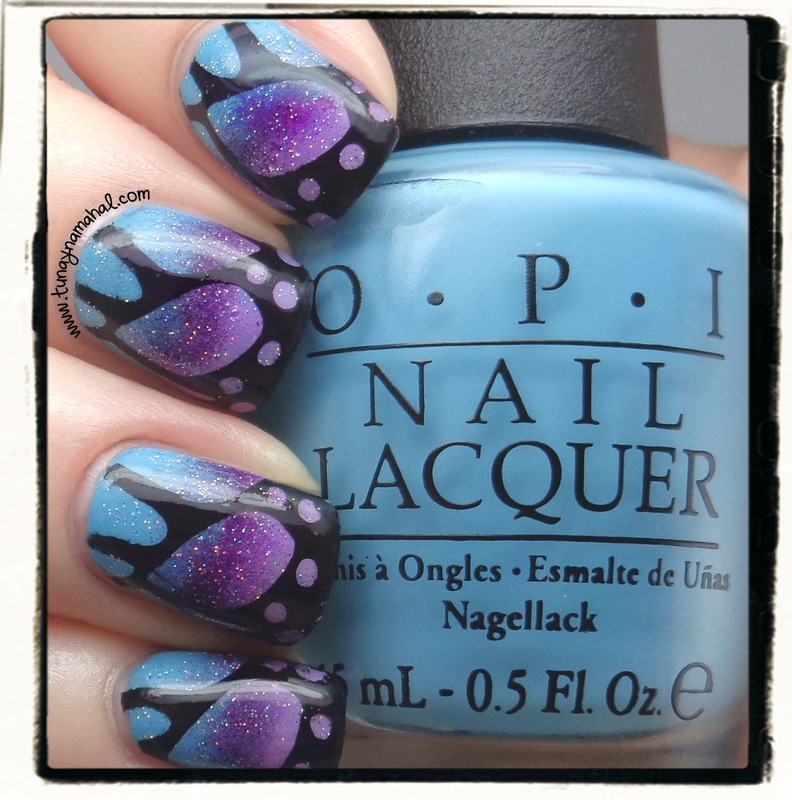 I had some eBay bucks recently, so I decided to pick up three OPI colors I've always wanted to add to my collection. Can't Find My Czechbook (I had a mini bottle of this before), Do You Lilac It?, and Vant To Bite My Neck? I thought these colors would make a really pretty gradient together, and I was right! 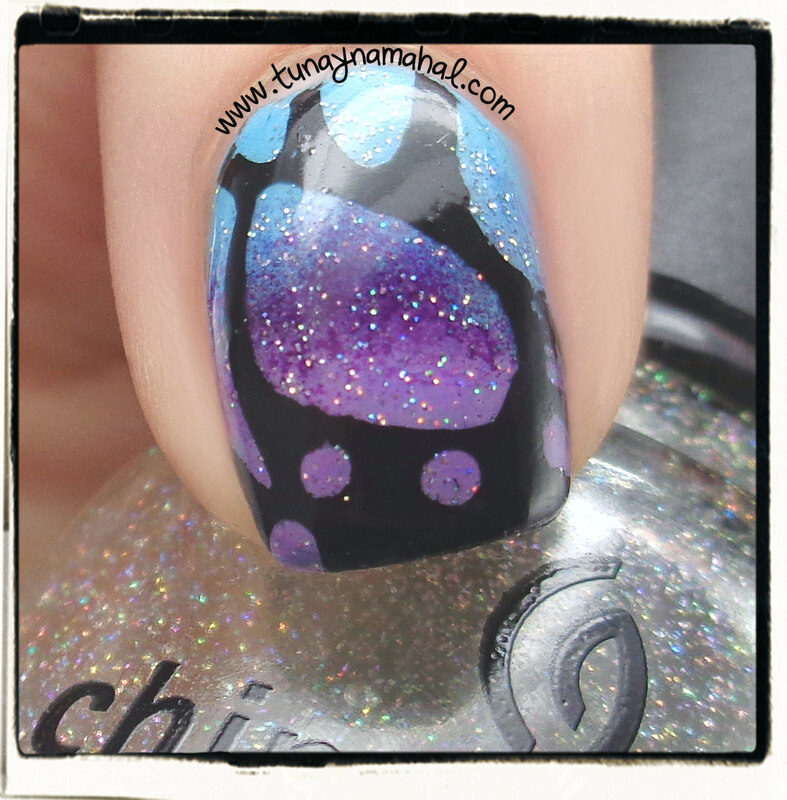 :) I topped it off with China Glaze Fairy Dust. 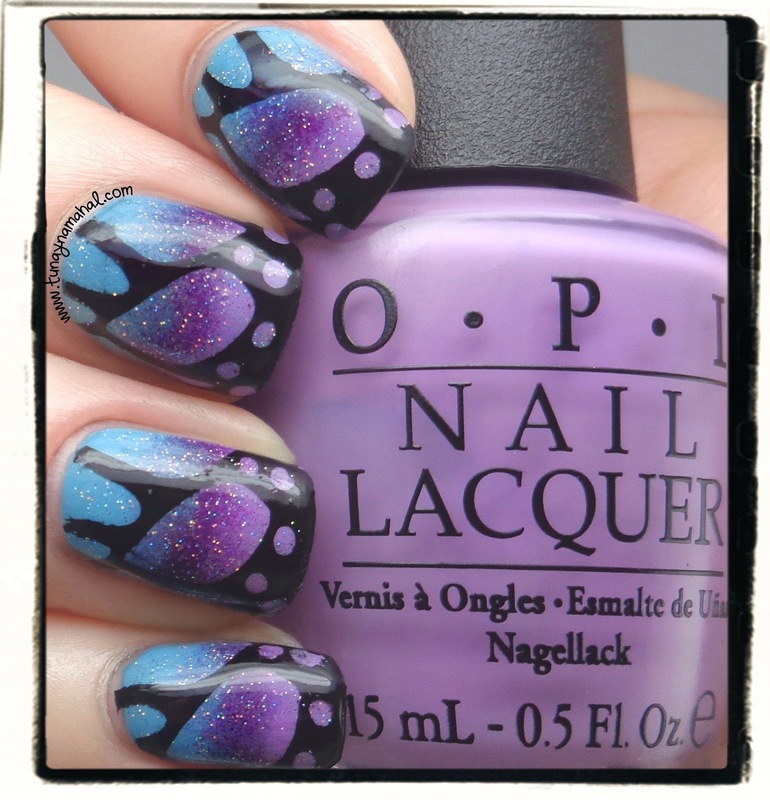 I stamped the butterfly wings with Bundle Monster BM-424, Konad Black, and Seche Vite Topcoat. I recently picked up 5 stamp plates from Bundle Monster, and I'm pleased with how the images transfer, how cheap they are, and how quickly they ship. (I got my order within 4 days). I just placed my 2nd order a few days ago. 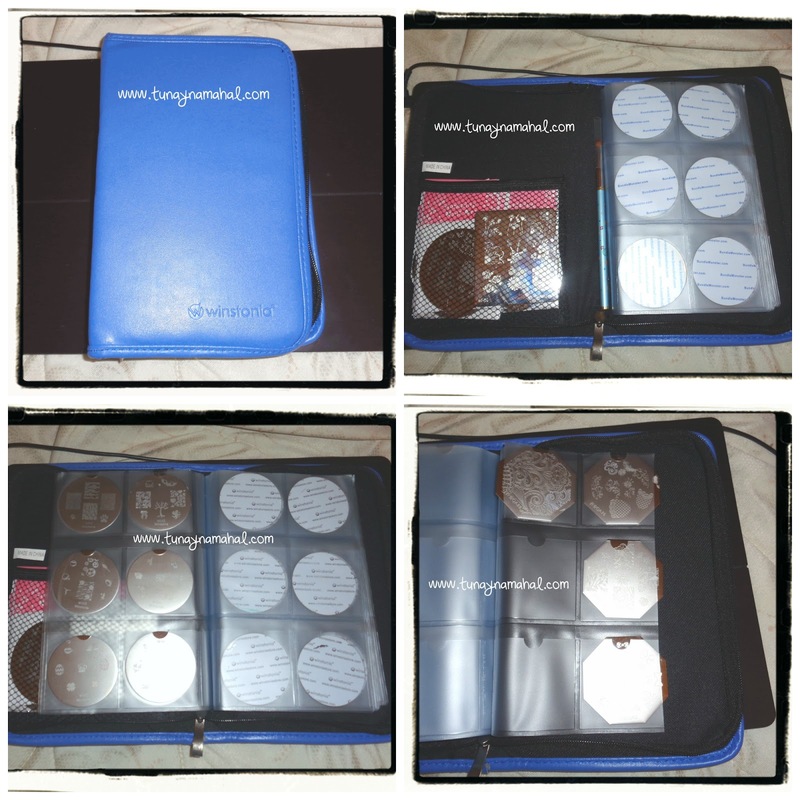 Also, during Winstonia Store's Columbus Day sale I picked up their new 'Blue Envy' stamp plate organizer. It fits my Winstonia round plates, Konad, and Bundle Monster plates perfectly. I also love the little mesh pocket on the inside cover, so I can store my other miscellaneous plates that don't fit. My Born Pretty Store plates didn't fit, but I just decided I would slit the very last page to make them fit, since they are just a tiny bit larger.